ENDLESS VALUE w/ POSSIBILITIES!!! 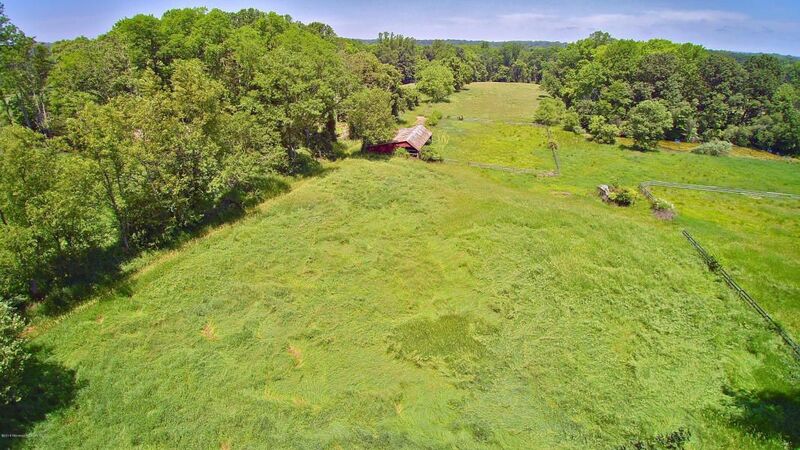 This majestic 13.53 ACRE, PREMIERE FARM ASSESSED ESTATE, located in a culdasac on one of the most desirable streets in Colts Neck is now available!!! Boasting a MINT CONDITION 4bd, 3 bth home w/ front rocking porch, wrap around deck, MODERN KITCHEN, Family Room w/ decorative moldings, living room, OPEN LAYOUT & desires/requirements for anyone who needs PRIVACY! Unwind throughout your GORGEOUS GROUNDS & utilize ur BONUS BUILDING that can entertain 100x people comfortably w/ PANORAMIC WATEFRONT VIEWS. Next-door to one of the largest estates in all of Colts Neck; this LUXURY ESTATE IS THE DEFINITION OF A GREAT REAL ESTATE OPPORTUNITY. Once owned as a working horse farm & its now READY FOR A 10,000sqft New Construction MAIN HOUSE.